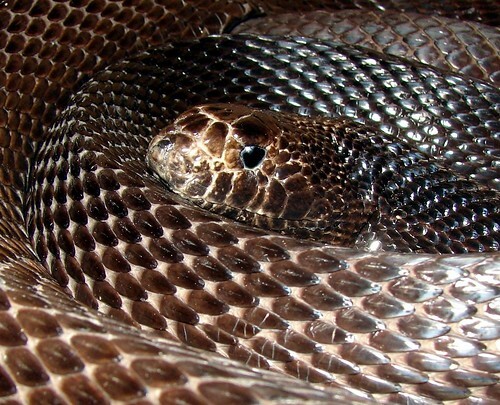 Black pine snake (Pituophis melanoleucus lodingi), originally uploaded by EcoSnake. “Beepers” was hatched in captivity in the Seattle area probably in 1992. Black pine snakes are native to the Southeastern United States along the Gulf of Mexico coast. Hopefully they won’t be affected by the encroaching oil spill (understatement). They are considered threatened and endangered in several states because of destruction of habitat.